In the modern hyper-competitive economy, the objective of an organization’s management team must be to make the organization desirable for current and prospective employees. When people connect with the beliefs and values of the organization and see a definite connection between their output and the success of the business, they will produce better work and inspire others around them to perform similarly. In this environment, team members take on responsibility and choose to be accountable for their actions. It is a place where trust breeds an engaged workforce that accept their own accountability to improve performance. 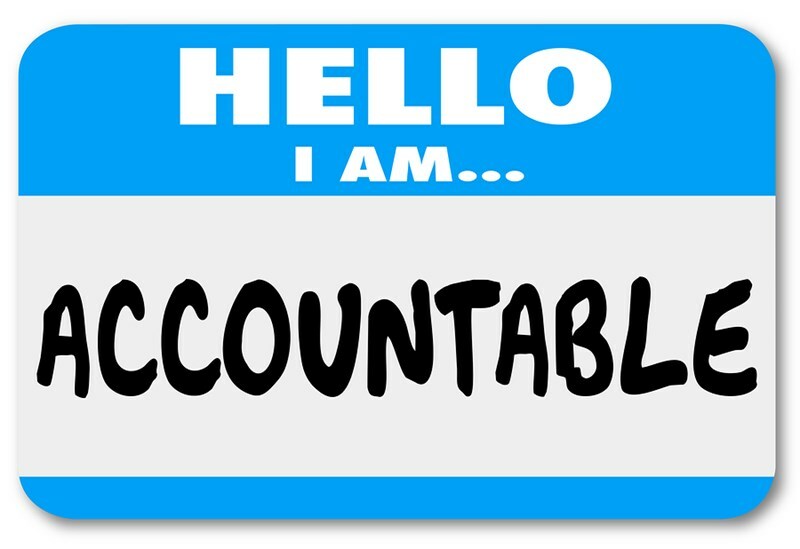 When leadership knows how to hold themselves accountable at work, others will accept responsibility more easily: they, too, will be willing to accept accountability for their own self-directed actions. Though handing over control to employees is an important first step toward fostering accountability in the workplace, it is not the only thing a manager must do. Of course, handing that control over is an indication of trust in the employee or team but trust remains a two-way street. To accept responsibility, employees must trust their manager in return. When employees are unwilling to accept responsibility it is because they fear the consequences if they are held accountable for failures. You, as a manager, can reduce this fear in leading by example. When what you say and do is easily identifiable as wholly aligned with your beliefs and values, you will be seen as honest. People respect openness. They don’t like surprises. If strategies or plans change, don’t be afraid to relay these to those that are most affected: people, especially those who are under your purview, prefer to hear bad news in good time. Don’t wait until annual review to discuss poor performance. Openness encourages the desire of employees to do their best for you. Accept people for who they are. Not everyone is in the same position as management, and many won’t know how the organization works at the highest levels. Poor managers take the easy route of deriding employees for their lack of knowledge, instead of accepting that a need for coaching and training exists. The same can be said of those that overly use technical language to make themselves appear superior to others. Always ensure that you do what you say you will do. Never make promises you can’t keep. If you believe in your employees – and why employ them if you don’t? – begin nurturing a trusting environment by relinquishing some control. If you can prove your trustworthiness and accountability, you will engender not only the trust of others in you, but the acceptance of accountability by all employees.